Today is my birthday! I've had a really great one! 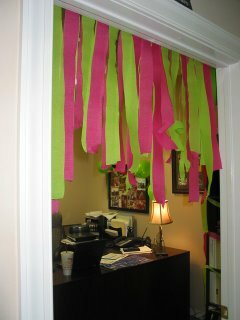 Even though there were only 5 of us in the office today - they decorated my office with pink and green streamers and balloons. (and they didn't even know that was TRI CHI colors. ha! ) 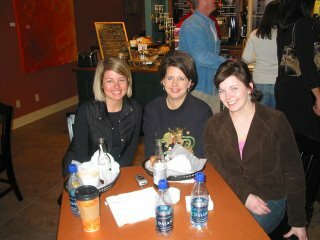 Then we went to lunch at this little coffee shop on the square and then went home. Scott came home early too and we went and ate at Bonefish Grill. It was SO good! Then we went to see "We are Marshall". I've been waiting to see that since I heard about it and it came out today. It is WONDERFUL! It's a true story about the 1970 plane crash that killed the entire football team of Marshall University in West Virginia and how they overcame that to build a new team back up and eventually won 2 national championships. I loved it! We head to Magnolia in the morning for Christmas! I hope everyone has a very Merry Christmas! Did I tell you that my little sister is in that movie? She was one of the Cheerleaders. Says that Matthey M was a dork, and about 5'6", but a womanizer.